I appreciate how Michelle used and showed some basic tools that we can use to help us regulate our diet. Very Informative, Thanks much! It’s been a long hard day full of doctors appointments, labs and results. You’re exhausted and off you go to the pharmacy to pick up your prescriptions. You may be newly diagnosed, starting HIV meds for the first time or you may be a seasoned veteran having been diagnosed for years and been on multiple different regimens. 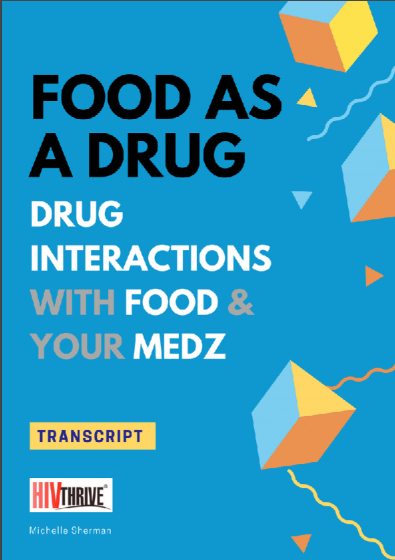 It doesn't matter which category you fall into it is critically important that you understand how to take your meds, not only how many pills and at what time to take them each day, but also how to take them, such as with food or without. The food we eat acts like medicine……. Inside our members area you will get full access to the videos and members downloads. Complete Transcript Ready For You To Take Notes! Download the transcript form our exclusive members area, print it off make your own notes. 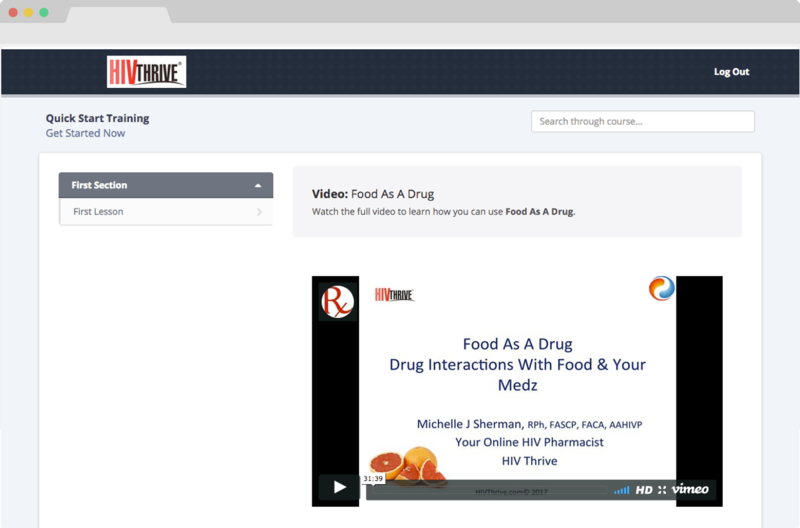 I believe your investment and its ability to help your learn more about food types with medicine. If you’re not satisfied, just contact us within 30 days of purchase, and I’ll refund your money. No questions asked.